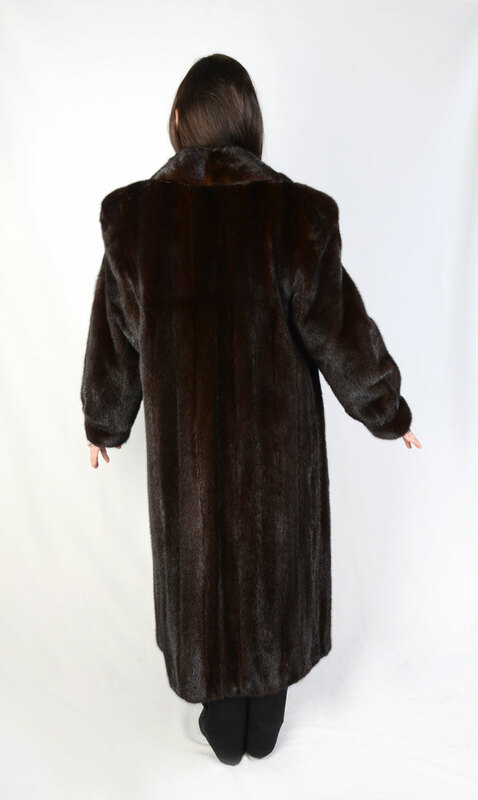 VINTAGE MAISON BLANCHE FULL LENGTH FUR COAT: Richly colored dark brown fur with Maison Blanche label; full length mink coat with generous collar. 2 front slit pockets and 3 snap front closures to keep you snug. Approx size 10. CONDITION: Very good condition - kept in cold storage. 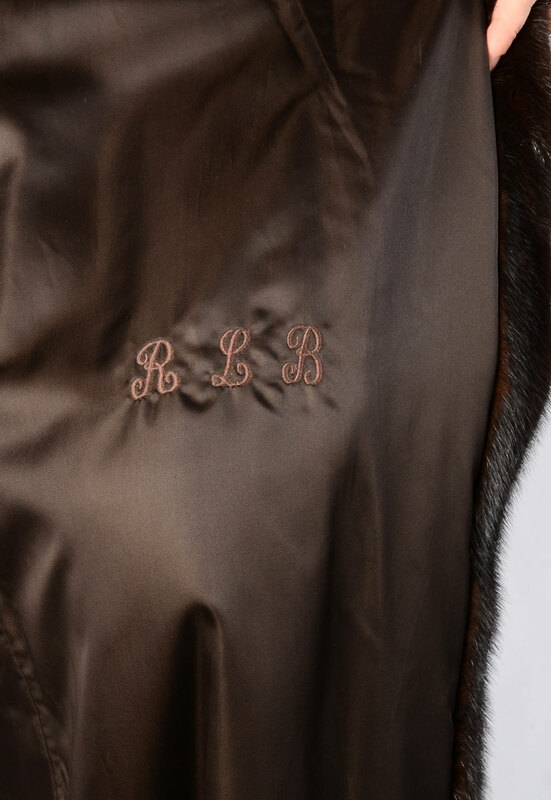 Initials embroidered in lining.